What are the Armchair Audies? 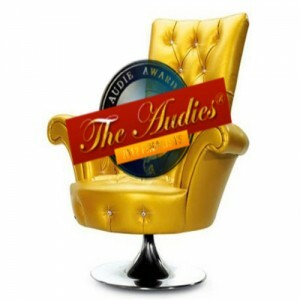 The Armchair Audies are run by Jennifer over at the The Literate Housewife where all of us audiobook listeners can have an opportunity to listen to and review the audiobooks that have been nominated for the Audies. The Audies (for those who haven’t heard of them) are the annual awards for the audiobook community – similar to the Oscars, but on a much smaller scale. The nominations were announced for the various categories this past week and I am excited to listen and review the ones that were nominated for the Romance category. Of these nominations, I have only read one before (The Madness of Lord Ian Mackenzie) and 3 of the 5 narrators are new to me (Kathe Mazur and Julia Whelan have been on my previous listens list – Kathe for her narration of a couple books in Tess Gerritsen’s Rizzoli and Isles series and Julia Whelan for her narration of Amy in Gone Girl (Gillian Flynn)). Over the next couple of months, until the announcement of the winners on May 30, I will be listening and reviewing these audiobooks. So stay tuned and look for the Armchair Audie logo at the top of the review. HI Dee, I’m doing the audie’s this year too and can’t wait to read everyone’s reviews! What cat are you doing Laurie? Can’t wait to read you reviews! Romance and I might add in another category if I can round up (and afford!) all of the audiobooks. It should be fun! Did you do the Armchair Audie’s last year? I am so glad that you are joining us this year. I am looking forward to your reviews and your group’s Audie winning prediction. I hope you enjoy as much as we did. I liked the Hoyt & the Ashley a lot (only listened to the Hoyt, but have listened to others of Ashley’s in that series) – hopefully the rest of the category will be strong for you! I am passionate about Whelan’s work on Gone Girl, so it’d be fun to see how she is in such a different book. Enjoy!